#LeapLA tries to keep you looped into all things that make Los Angeles streets and neighborhoods more livable. 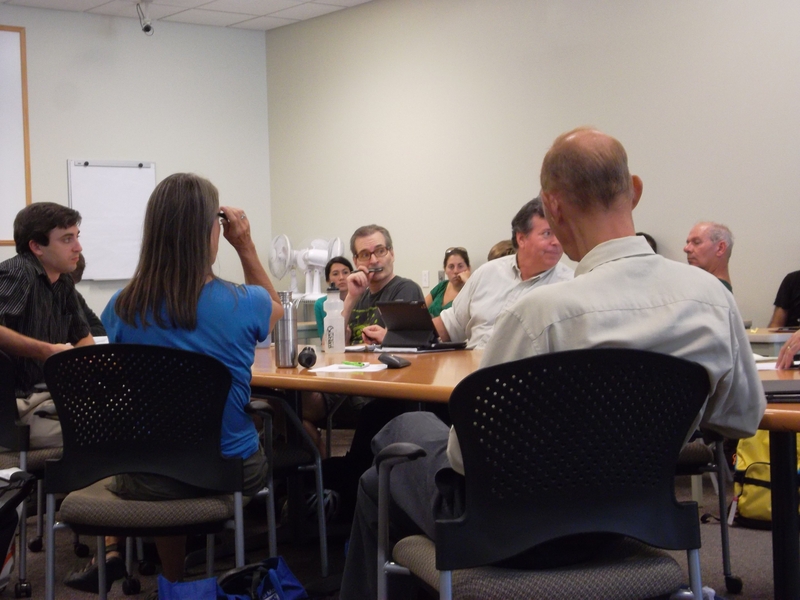 Last month, Active Transportation Division had the opportunity to partner with the Department of City Planning, the Mayor’s Great Streets Initiative, and the Los Angeles Eco Village to bring Portland’s Mark Lakeman to speak to City departments. Lakeman, the founder of City Repair Project, gave a compelling presentation on how communities in Portland create natural building, permaculture, and public art projects. Lakeman’s presentation provided Los Angeles with some food for thought, illustrating how City Repair Project has served as an effective means for achieving transportation implementation goals. The mission of the City Repair Project is to “foster thriving, inclusive, and sustainable communities through the creative reclamation of public space.” The project has facilitated simple, yet holistic approaches to improving Portland’s neighborhoods. Lakeman’s strategy emphasizes that streets are the center of cultural convergence: a community meeting place where ideas are communicated and people are compelled to interact. In this, Lakeman argues, a street should reflect the full spectrum of human expressions and serve more as a cultural continuum than a conduit to move traffic. Culturally and physically, Los Angeles neighborhoods seeking to reclaim culture back into the streets can continue to expand their toolkit and learn from the City Repair model. Many Los Angeles communities have been touched by locally-driven placemaking efforts. 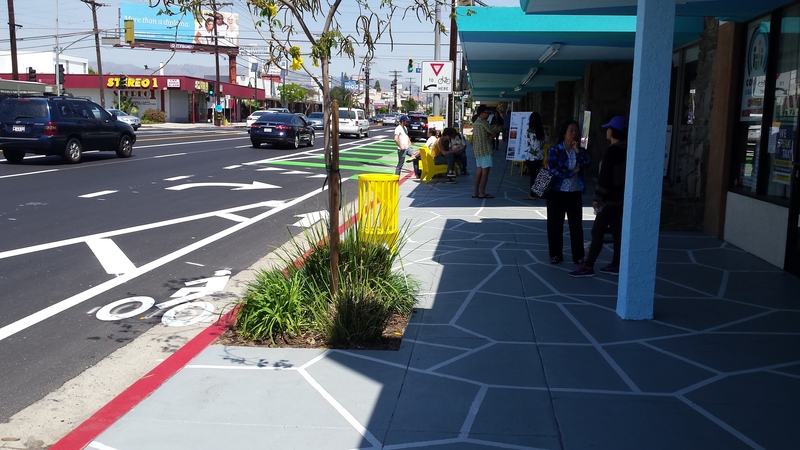 From the more recent Great Streets Challenge, to well-established organizations such as Los Angeles Neighborhood Initiative (LANI), placemaking in Los Angeles has generated greater connectivity and revitalized neighborhoods. Community-driven strategies like these that utilize and engage active communities can facilitate critical improvements that enhance community cohesiveness. By keeping the regulatory process flexible and simple, Portland enables communities to create artistic and ecologically-oriented transportation improvements. Projects such as benches, community kiosks, gardens, street paintings, tile mosaics, and intersection treatments, though granular, integrally stitch neighborhoods together and inspire creativity and diversity. The City Repair Project is about the intersection of transportation, art, public spaces, and community engagement. Fostering collaboration among community members, these projects create permanent and semi-permanent street improvements that benefit neighborhoods and the city at-large. Following the lead of People St and Great Streets, City Repair Project is another model that Los Angeles can adapt as a means to encourage creative and environmentally sustainable placemaking. As an active transportation planner, I often think about the future: my impact on it, how I’d like to see things change, what the world will look like for the next generation, and (of course) why active transportation will help us in the future… I recently got to make a different type of impact on the future, given the opportunity to visit an elementary school and speak to young people about what I do for work! Once upon a time, long ago in Boyle Heights, I was an impressionable 2nd Street Elementary School student. When Career Day came around, we were introduced to a parade of civil servants including police officers, firemen, and sanitation truck drivers. While no transportation planner ever visited my classroom to inspire me to pursue my chosen profession, I was inspired to pursue a profession where I could be of service to my city. These Career Day visitors taught me two important things: that it is important to do something I love and that I need to be prepared with the right skills for the job. As a graduate student in Urban and Regional planning and a Student Professional Worker at the LADOT Bike Program, I have the privilege of doing something I love: encouraging Angelenos to use active transportation modes like biking and walking and making streets safer and more enjoyable for all Angelenos. Last month I had the pleasure of reliving Career Day, this time in the role of The Professional! We hope everyone had a great Mother’s Day Weekend! We’ve got news that moms in L.A. should be happy to hear. Our colleagues in the Pedestrian Program announced late last week that they’ll be hiring a pedestrian coordinator and assistant pedestrian coordinator very soon. We first made this announcement back in January. Since then, the City Council has decided to hire the two positions as City employees instead of as consultants. Full details on these positions are available via the down-loadable PDF links below. Applications will be due at 10am on May 25th. A young bicyclist heads east towards Downtown on a planned Bicycle Friendly Street. I’m excited to let folks know that LADOT has begun the process of hiring two Safe Routes to School (SRS) Coordinators. The Department is planning on hiring one SRS Pedestrian Coordinator and at least one Assistant Coordinator position to help develop a SRS Strategic Plan. This Strategic Plan will help the Department prioritize future school serving pedestrian and bicycle facility improvements based on data-driven recommendations. The Strategic Plan will help strengthen LADOT grant applications to improve bicycle and pedestrian access to schools throughout the City. An informational meeting for the positions will be held on Thursday, January 12th, 2012 at 10:00 am in Caltrans Conference Room 01.040A located on the first floor of the Caltrans building, 100 South Main St. Los Angeles, CA 90012. For more information/background on the position, you can visit the City Clerk’s website. The linked webpage has links to important supporting documents, including the staff report outlining the goals and objectives of the new positions (PDF). You can also download the job announcement (PDF) we sent out last week, which includes instructions for completing the application package available on the Los Angeles Business Assistance Virtual Network, which must be received via email by 10:00 am PST Monday, February 13, 2012. A bicyclist heads east on 11th St. - slated to become a Bicycle Friendly Street with Federal SRTS funding recently awarded. We’ve got some good news to share! We’ve recently received word that we’ve been awarded funding for our Berendo Middle School Federal Safe Routes to School (SRTS) grant application. 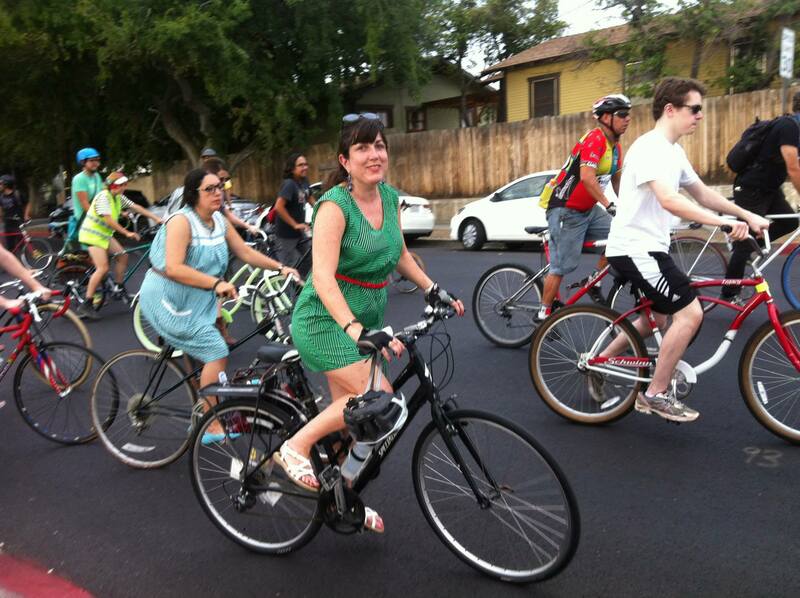 This grant will allow us to build out a Bicycle Friendly Street (BFS) on 11th St. between Harvard Blvd. and Hoover Ave. This BFS facility will help create a safer east-west route through the heart of Pico-Union for both bicyclists and pedestrians, school children and members of the local community. 139 project applications were selected out of the 332 applications submitted statewide. Each District through the District Selection Committee Process selected their highest scored projects up to their funding target of $66 million. Treatments slated for installation include a roundabout, crosswalks, bulbouts, advanced stop bars, a pedestrian crossing warning device, bike loops, signage, sharrows, bike racks, and some SRTS encouragement programming, as well. These will likely include walking/bicycling “school bus” programs, and a complementary incentive program. Many thanks go out to the Berendo Middle School community and staff who expressed their strong support for this Safe Routes to School project. Many thanks to Councilmember Ed Reyes’ staff and to Childrens’ Hospital staff for putting us in contact with the folks who knew this area and its needs firsthand. We’ll keep you posted as this project moves forward.